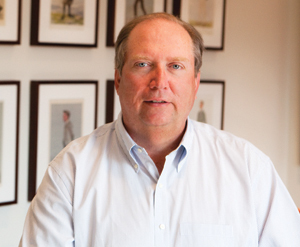 Jerry Tarde is the Chairman and Editor-in-Chief of Golf Digest and the Chairman and Editorial Director of Golf Digest Companies, which also includes Golf World and GolfDigest.com. Mr. Tarde is in his 30th year as the Chief Editor at Golf Digest, growing the circulation of the world’s leading golf publication to 1.65 million and expanding its international affiliates to 27 editions. He has attracted some of the most noted writers in journalism to the magazine as contributing editors, including Thomas L. Friedman, David Owen and John Feinstein; he has also signed to exclusive contracts the greatest players in the history of the game: Jack Nicklaus, Arnold Palmer, Tom Watson and Phil Mickelson. Mr. Tarde and the team of writers he has assembled have won more than 200 awards from the Golf Writers Association of America (GWAA) and have earned 11 National Magazine Award nominations. In 2011, Mr. Tarde was awarded the PGA of America Lifetime Achievement Award in journalism. In 1991, Golf Digest won a Silver Gavel Award from the American Bar Association for a series Mr. Tarde edited about discrimination at private golf clubs. The series also led Mr. Tarde to become one of the founders of the National Minority Golf Symposium. Prior to graduating from Northwestern University’s School of Journalism in 1978, Mr. Tarde joined Golf Digest as an intern. He became Associate Editor in 1979 and Senior Editor in 1982. In 1984, at age 28, he was named the magazine's Editor.